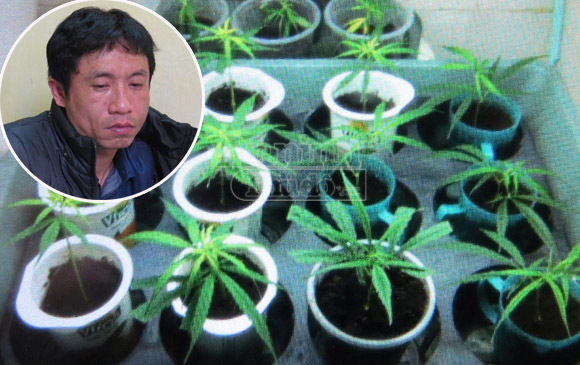 HAI PHONG (VNS) — The police in the northern port city of Hai Phong's Le Chan District on Thursday arrested one person for illegally using drugs and growing marijuana. Do Hai Nam, 38, a local resident, was caught red-handed while using drugs at his four-storied house. Eight bags of methamphetamine, one box of marijuana and a large amount of fresh and dried marijuana were seized from the house. The police officers also found 23 marijuana plants growing on the third and fourth floors of the house, of which 16 were about one metre tall.